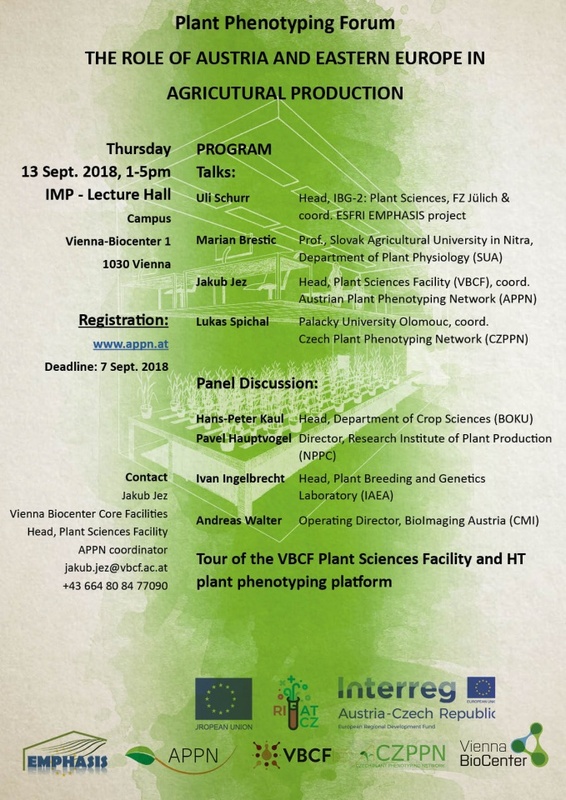 Within this Plant Phenotyping Forum, we will discuss the role of Austria and Eastern Europe in agricultural production, as regions with huge potential and long-term traditions in the agricultural sector. Specifically, breeding and the consideration of environmental effects for continental climatic environments may require new breeding efforts in this region, including new strategies to develop new germplasm in pre-breeding programs and the application of modern breeding technologies, specifically to improve stress resistance to close the yield gap in times of a changing climate. In this context, the need to characterize the phenotype is essential to understand fundamental processes, which determine the structure and function of plants in particular. While significant progress has been made in molecular methods in recent years and the genomes of several plants have been sequenced this knowledge is not sufficient to simulate the phenotype of a plant without knowing the history and the dynamic interaction of the plant with its environment. Plant phenotyping – quantitative analysis of structure and function of plants – has become the major bottleneck and, quantitative information on genotype-environment relations is the key to address future challenges. Increasing the plant biomass production quantitatively and qualitatively can provide major contributions to grand challenges like food security on a global level, at the same time reducing a major driver for migration movements. Beyond fostering scientific progress, plant phenotyping requires a community effort. 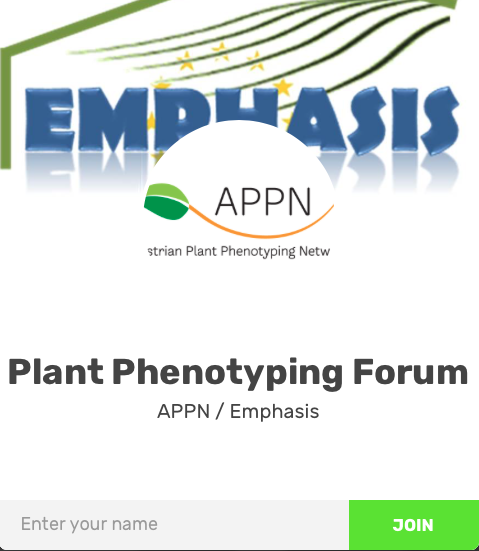 In this context EPPN2020, a EU funded I3 project provides access to key plant phenotyping facilities in Europe while EMPHASIS, a ESFRI listed project aims at the development of a long term sustainable pan European plant phenotyping infrastructure that addresses the needs of the diverse users from academia and industry including the operation and development of a pan-European e-infrastructure to effectively collect, process and provide data for the community. Looking forward to meeting you at the VBC! Fields marked * are required for successful registration.